Born August 2, 1969 in Wheatridge, Colorado. Robyn grew up in Arvada, Colorado and started to play competition soccer in the local league. During her senior year at Arvada West High School, Robyn was inducted in the Athletic Hall of Fame and was also inducted in to the Colorado High School Athletic Hall of Fame in 1987. Upon arrival in Utah she was selected to the Utah U-18 ODP Team and the USYSA Regional Team. Robyn enrolled at BYU in 1987 and played with them until 1993. During the same time she joined the Association’s Pan World FC from 1989-1996, in a period where the team won five State Championships along with two Nikolai Cup championships. Additionally, she was selected to the State Select Team in 1989-95 and was selected to not only the USASA Region IV Select Team, but was also selected to the USASA National Amateur Team during those same years, highlighted by a selection to the U.S. Women’s National Team in 1991. She was selected as the Association’s MVP in 1990-93 and 1996. Robyn decided early to start a coaching career and served as an assistant coach at BYU from 1993-96. After turning in her shoes at the Select Team level, she coached the Association’s Women’s State Select Team from 1996-99 and in 1999 she led the Women’s State Select Team to a USASA National Championship for State Select Teams. From there Robyn turned her energies into forming the Celtic Storm SC in Utah County where she has served as president and is currently coaching and sits on the club’s Executive Board. Her involvement with youth soccer led to serving as a Regional Staff Coach, being named the 2003 UYSA Coach of the Year, 2004 Adidas Region IV Coach of Year, 2006 Region IV Fair Play Award and other awards and recognition. 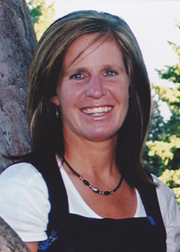 In 1996 she also started to coach at Timpanogos High School and continues to teach Physical Education.